Got email last night from my editor's assistant, who said, more or less, "Oops. I need the art fact sheet for HEART OF STONE by, uh, tomorrow, can you help me out?" I have absolutely no idea if other houses do this, but Harlequin asks the author to fill out an AFS to get information on what kinds of things oughta be on the cover. 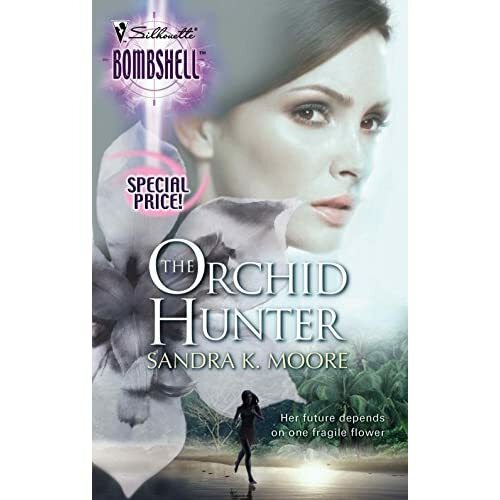 My own experience with doing the AFSs so far has been freaking brilliant: with THE CARDINAL RULE, I cited Sandra K. Moore's Bombshell, THE ORCHID HUNTER, as an example of the kind of cover I thought would work: I liked the 3 basic elements of the woman, the smaller figure/scene at the bottom, and then the sideline of the orchid itself. I thought it worked really nicely as a cover. So I said I'd love to see something like that, and that the Vatican was a major scene point in TCR, so it might be a good location to work with. I got this as a result. I was freaking *thrilled* with it (still am!). For the second book in that series, I filled out their zillion questions and said, "Louvre instead of the Vatican," and got this, which, again, I was completely happy with. They didn't so much use the 3-element thing in these as two and a quote/distinctive font to tie 'em all together, but I was (and am) totally cool with that. Basically when it came to the third one I filled out a bit of the material but said, "Honestly, it's silly to fill all this out, you guys are batting a thousand, the location element for the third one should be the Parliament Building or Big Ben," and that time *I* suggested the cover quote (no idea at all if they'll use it! ), but I'm expecting the third cover is going to fit right in and I can't wait to see it (*checks Amazon obsessively*). The Walker Paper covers I've filled out at least some of the paperwork for, but a whole lotta credit just has to go straight to the art department and Hugh Syme on those again. First off, on the first one I didn't fill out most of the questions--they hadn't set me up on the system yet--and when I got the first copy of the cover my editor said, "Now, don't panic, I know this isn't exactly what you asked for..." because it included elements like Jo's belt, bracelet, and babydoll shirt, none of which are things Jo would especially/necessarily wear (she does have a bracelet, but it's in an entirely different style). However, once she'd set me up for AUGH MY GOD WHAT DOES SHE MEAN DON'T PANIC?!? the cover was so incredibly perfect I think I spent about three weeks squealing over it. Same thing with THUNDERBIRD FALLS, which I just sat there and gaped at: it's exactly like the URBAN SHAMAN cover and yet completely, totally different. For COYOTE DREAMS, she said, "How about if we have Petite on the cover?" which, I mean, right there just made me happier than anything. She sent me the art department's concept *months* ago, and even in black and white, I swear to God it almost made me *cry*. It was *so* *sad* and *so* perfect! I don't think the final version is going to be so *sad*, but it's going to be fantastic. Right, so the point of all of this was that filling out the AFS for HoS this morning was actually a lot of fun, and I can't wait to see what comes of it. I don't think I'm going to get what I asked for (I've asked for a long shot), but it'll be cool one way or another. I'm waiting to see if they'll let me post the AFS questions (donno if they're proprietary) so people can actually get a back-door look at the kinds of things they ask for the cover information (I said, rashly assuming somebody'd be interested :)). But now to shower and then to write, having spent the entire morning working but not writing. Datum: I've never been asked for anything so formal by the way of input. 3. Orbit. See Tor, above. My first two covers were great, my third cover sucked (but not enough to scream and stamp and hold my breath over -- they were trying to go for a mainstream/crossover effect, and it didn't work terribly well, but it wasn't a gouge-your-eyes-out bad cover). 5. Subterranean Press: again, as with Golden Gryphon, the artist is a big draw; in the case of MISSILE GAP I got J. K. Potter, who read the novella then decided what he was going to do thematically. Again, there was some to-ing and fro-ing while $editor and I worked out what we wanted. I'm fairly happy with what we got. General conclusion: if you demand input, the small presses will let you have it -- but they'll pick the artist, and they'll be demanding input, too. Larger publishers are less likely to give you much input, but if you express preferences they'll listen, and if you spot a big mistake, they'll often try to fix it. I was about halfway through reading this when I thought, "Man, he should post this on his own LJ!" That was really interesting. I kinda had the impression that HQN was Not Like Other Places in how they do cover input, so this backs that up. Thanks for posting! The covers look great. I hope the next one lives up to the trend. By the way, I think a lot of us would be interested in the AFS questions. I totally love the idea of the AFS. That's awesome that you've faired so well cover-wise! From my understanding, cover art fact sheets for NY print books are pretty rare. I've known several authors over the years who've basically said they've been allowed to give minor input and cross fingers that it doesn't look horrible. The covers of my first two (hardcover) novels, released only in Sweden, I made myself. In fact, I insisted on doing so... and the small-press publisher was pleased with the result.